Hope you all are enjoying your holiday. We're having a quiet one...It's Harley Davidson's 110th Anniversary in Milwaukee this weekend, and enthusiasts from all over have descended into SE Wisconsin. In my world, it's a good time to be off the road. So home we stay and me in my craft room. 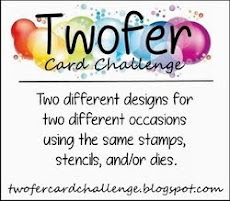 Playing along again at the Pinspired Challenge. Very interesting photo to base a card on...colorful, which is exactly where I took my inspiration. Not sure why I didn't go with flowers, but when I pulled out supplies, this is what worked for me. Loved all those bright colors on that minty green background. Sweet card, Bev - and it does exactly what you hoped: makes me happy! And I need some 'happy' since I'm heading home, by myself, today! My husband is staying behind as an official for THE big bike race - Tour of Alberta - so I'm on my own-some for the week. Thanks for sharing this day-brightener!! Isn't it great to have an excuse to HAVE to stay home?!! You are using your time well. This is totally cheerful and would make anyone happy. There are certain colors that give me photography headaches although not usually mint green. I have yet to take a picture of a card that has anything in the lavender/purple color family in which it doesn't look blue!! I saw that challenge photo and thought it was lovely. I never thought of doing anything but flowers but you have shown that you don't have to follow the inspiration exactly to get a great card. And aqua or mint green, either way it's a colorful happy card. I agree with Kim a reason to stay home is a good one! I didn't realize you are in Wisconsin, my hubby is working in Wisconsin right now. Cute card love how you pieced the die cuts! Super CAS Sweetness Bev!!! The blue background is so bright and beautiful! As always you are so stinkin' clever! I love what you did with your card, just so fun! And great work with your Cameo too. Sounds like you had a nice weekend too. 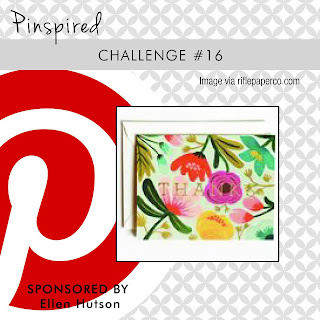 so cute.. love how you added the color to the sentiment.. thanks for joining us at PINspired Challenges. How did I miss that you are from WI ,or may e I just forgot. My parents are from there, and so are all my aunts and uncles. Love your happy card Bev! You chose great colors too. Happy dances, happy card, happy message that makes me smile! Great choice of colors, all so perfectly coordinated! Sure am liking what your sweet new sidekick is creating (as in Cameo)! It seems to me aqua is a difficult color to photograph... But your card is awesome! ... and don't you just love your Cameo?! I LOVE this idea. Such a fresh take on that photo.